Developing and designing logo, graphics and website. Implementing WordPress Content Management System (CMS) so that the client can easily update the website in the future. Assisting client to choose stock photos for the website, as well as hosting the website and setting up the domain name. 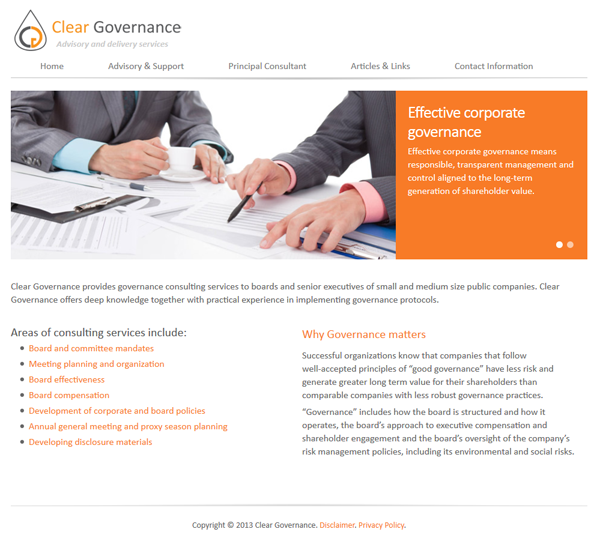 Clear Governance provides governance consulting services to boards and senior executives of small and medium size public companies. 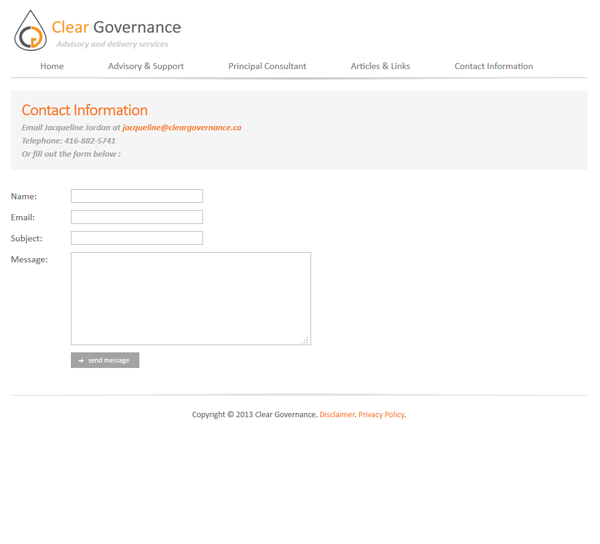 Clear Governance offers deep knowledge together with practical experience in implementing governance protocols. 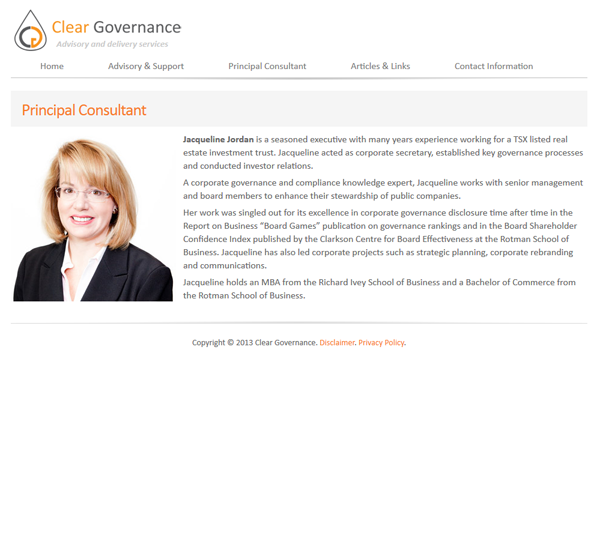 Jacqueline Jordan, the Principal Consultant of Clear Governance, is a seasoned executive with many years experience working for a TSX listed real estate investment trust. Jacqueline acted as corporate secretary, established key governance processes and conducted investor relations.